May Day has its origins in the United States around the struggle for an 8-hour workday. At the time of the first May Day rally in 1886, work days up to 18-hours were not uncommon. The struggle for a shorter workday had been going on for a long time. The Mechanics’ Union of Philadelphia (considered the first union in the world – 1827-1837) was formed out of a strike for a ten-hour workday. In Australia the building trade workers raised the slogan “8 hours work, 8 hours recreation and 8 hours rest” and were successful in securing this demand in 1856. The fight for workers power is, and has always been, an international struggle against nationalism and borders. 1860s: In 1866, the National Labor Union (a grouping of 60 labor unions) put forward the first call for mass struggle to win a shorter workday. NLU leader William Sylvis was in contact with the First International in London, which called for the 8-hour workday in collaboration with the NLU. Marx makes note of the event in Capital: “In the United States of America, any sort of independent labor movement was paralyzed so long as slavery disfigured a part of the republic. Labor with a white skin cannot emancipate itself where labor with a black skin is branded. But out of the death of slavery a new vigorous life sprang. The first fruit of the Civil War was an agitation for the 8-hour day – a movement which ran with express speed from the Atlantic to the Pacific, from New England to California.” The NLU also called for a political organization independent of the Republican and Democratic parties. 1870s: The 1870s an upsurge in the working class movement, propelled forward by the first implementations of Taylorism and a 5-year depression. In 1870 the first contract between coal miners and mine operators is signed. the Tompkins Square Riot in NYC – the largest demonstration in NY history at the time (7,000 workers and unemployed) – happen in 1873. Four years later came the Great Railroad strike of 1877, in which100,000 workers over several states stopped work and 100 were killed. The strike lasted lasted 45 days. Strikers in Pittsburgh burned 1,400 freight cars. The strike was put down by local, state, federal militias, and is considered the impetus for the formation of the modern National Guard. 8-hour workday leagues and associations are springing up across the country by the end of 1879. 1880s: Another depression hits in 1883, increasing calls for the 8-hour workday. March 1, 1886: the Great Southwest Railroad Strike, in which 200,000 workers strike against Union Pacific Railroad (owner of 13% of the nation’s railways at the time). A textile strike (one of many across the country) also breaks out in Augusta, Georgia. At its 1884 national convention in Chicago, the Federation of Organized Trades and Labor Unions in the US and Canada (later the American Federation of Labor) proclaims, “eight hours shall constitute a legal day’s labor from and after May 1, 1886.” FOTL membership stood at around 700,000 people. The Knights of Labor, the largest union at the time (20% of all workers are affiliated) also joined in the call. Taylorism has arrived by 1880: workers are being worked harder than ever, producing more, but working just as long as before. Their rate of exploitation is increasing, and their resistance is shown in an uptick of strike activity. From 1881-1884, the number of strikes and lockouts averaged less than 500 and involved on average 150,000 workers a year. In 1885; 700 strikes and 250,000 workers involved. In 1886; more than 1,400 strikes and 600,000 workers involved. 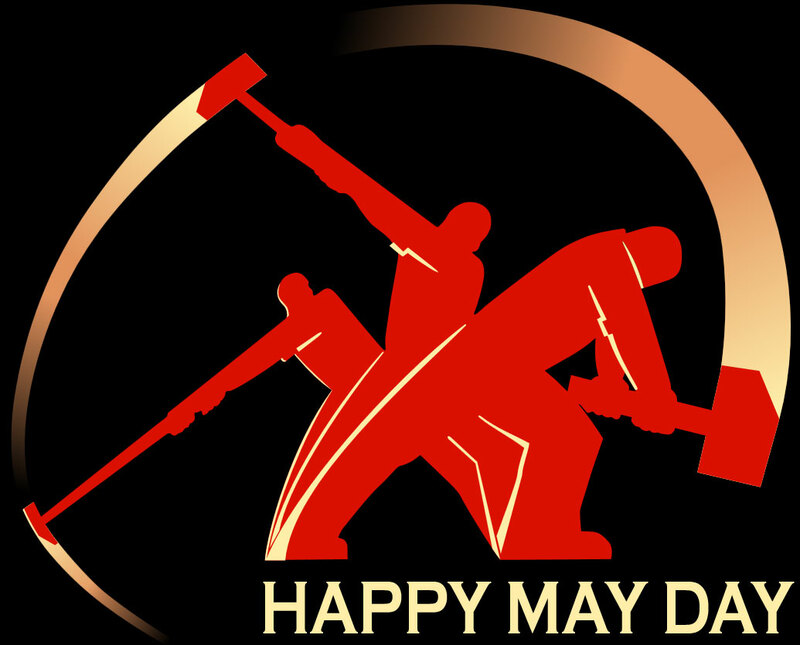 The First international May Day: The Second International notes the events in the US, and along with the AFL calls for an international May Day on May 1, 1890 to demand an 8-hour workday and in honor of the Haymarket Massacre. May Day 1890 happens in the US, across Europe, in Chile, Cuba and Peru. Headlines read: “Parade of Jubilant Workingmen in All the Trade Centers of the Civilized World” and “Everywhere the Workmen Join in Demands for a Normal Day.” In 1891, the Second International expands on its platform, emphasizing the class character of the struggle and demands for better working conditions.